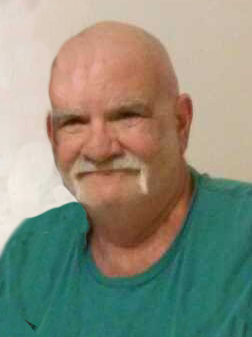 Robert John Dinanno, 61, of Hampstead, passed away on Saturday, February 2, 2019, at home. He was born in Brooklyn, New York on February 12, 1957, to the late Robert and Fuensanta Dinanno. Bob was a big hearted, boisterous, fun loving guy who loved to cook for family and friends. Sausage and peppers was his specialty. He was a truck driver and enjoyed being on the road and seeing the country. Bob will be remembered as a kind, gentle, and generous man who was a wonderful brother and uncle. He was beloved by all his nieces and nephews. He is survived by his wife, Aphrodite "Dieta" Dinanno; sisters, Maria Dinanno, Monica Dana and husband, Fred; nieces and nephews, Daniel, Katrina, Ricky, Cadence, and Nicholas Dana; very special friends and neighbors, Rodney and Debbie King; and many cousins and friends. In addition to his parents, Bob was also preceded in death by his long- time girlfriend, Tina LoGrasso.